The Results Are In And We Have A Tie! Last Monday, I invited our readers to tell me what to watch and review this week. I nominated 12 films and then I invited you to vote. That’s right. For the first time in the history of this site, our poll has ended with a tie. Receiving 159 votes each, Much Ado About Nothing and Troll 2 have tied for the top spot. Well played, Shattered Lens readers, well played. Well, what choice do I have now but to watch and review both of our winners? Seriously, what could be better than following up a little Shakespeare with a little Troll 2? Here’s Your Chance To Tell Lisa Marie What To Watch! So, guess what I did this morning? That’s right — I put on a blindfold, a stumbled over to my ever-growing Blu-ray, DVD, and even VHS collection and I randomly selected 12 films! I did it so you, the beloved readers of Through the Shattered Lens, could once again have a chance to tell me what to do. At the end of this post, you’ll find a poll. Hopefully, between now and next Monday (that’s March 24th), a few of you will take the time to vote for which of these 12 films I should watch and review. I will then watch the winner on Tuesday and post my review on Wednesday night. In short, I’m putting the power to dominate in your hands. Just remember: with great power comes great … well, you know how it goes. The Baader Meinhof Complex (2008) — This German film was nominated for Best Foreign Language Film. It tells the true life story of the left-wing German terrorist group, The RAF. The Cat’s Meow (2001) — From director Peter Bogdonavich, this film speculates about the events that led to the shooting of silent film director Thomas H. Ince. Starring Kirsten Dunst as Marion Davies, Edward Herrmann as William Randolph Hearst, and Eddie Izzard as Charlie Chaplin. Heavenly Creatures (1994) — The close relationship between two teenage girls (Melanie Lynesky and Kate Winslet) leads to both a vibrant fantasy world and real-life murder. Directed by Peter Jackson. In A Lonely Place (1950) — In this film noir from director Nicholas Ray, Humphrey Bogart plays a screenwriter who may (or may not) be a murderer. Liquid Sky (1983) — In this low-budget, independent science fiction film, an alien lands in New York and soon several members of the city’s underground art scene are vaporized. Not surprisingly, it all has to do with heroin. Made in Britain (1983) — A very young Tim Roth makes his debut in this British film. Roth plays Trevor, a Neo-Nazi who — despite being intelligent and charismatic — also seems to be intent on destroying himself and everything that he sees. Much Ado About Nothing (2013) — In between The Avengers and Agents of SHIELD, Joss Whedon found the time to direct this adaptation of Shakespeare’s play. Peyton Place (1957) — In this Oscar-nominated film, the sordid secrets of an outwardly idyllic New England town are exposed. Pretty Poison (1968) — Having just been released from a mental institution, Dennis (Anthony Perkins) finds himself involved with teenager Sue Anne (Tuesday Weld), who — despite her wholesome appearance — is actually psychotic. 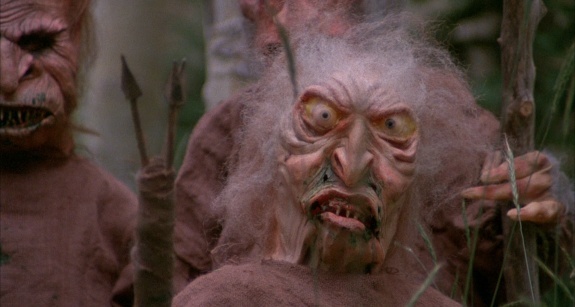 Troll 2 (1990) — A family moves to Nilbog, a small town that is populated by vegetarian goblins. This movie is widely considered to be one of the worst ever made. Walkabout (1971) — In this visually stunning Nicolas Roeg film, a teenage girl and her younger brother find themselves stranded and left for dead in the Australian outback. They try to survive with the help of an Aborigine. Zabriskie Point (1970) — In this 1970 film, the great Italian director Michelangelo Antonioni takes a look at the 60s counter-culture. Airplanes are stolen, buildings explode, and orgies magically materialize in the middle of the desert. The poll will be open until Monday, March 24th. Poll: Which Films Are You Most Looking Forward To Seeing In December? As always, you can vote for up to four films and write-in votes are accepted. Poll: Which Films Are You Most Looking Forward To Seeing In November? It’s the start of a new month and you know what that means! It’s time to combine two of my favorite things: a poll and a list of film titles. Which four films are you most looking forward to seeing in November? Let us know by voting below. You can vote up to four times and, as always, write-ins are accepted! It’s time for another edition of Let’s Second Guess the Academy! This time, we’re taking a second look at the race for Best Picture of 1987. Can you remember which film won Best Picture for 1987? Don’t feel bad if you can’t because Bernardo Bertolucci’s The Last Emperor is one of the lesser known Oscar winners. The film’s relative obscurity leads to one natural question: was it truly the best film released in 1987? Or should the Oscar have gone to one of the other films nominated — Broadcast News, Hope and Glory, Fatal Attraction, or Moonstruck? Let your voice be heard by voting below! After voting for which nominated film you think should have won, give some thought to some of the 1987 films that were not nominated. Was Moonstruck truly a better film than Near Dark or Full Metal jacket? Ask yourself what would have happened if The Last Emperor hadn’t been released in the United States or what if Fatal Attraction hadn’t been a huge box office smash. What if none of the five best picture nominees had been eligible to be nominated in 1987? Which five films would you have nominated in their place? Let us know by voting below. As always, you can vote for up to five alternative nominees and write-ins are accepted! Poll: Which Films Are You Most Looking Forward To Seeing In October? It’s in the end of the month and you know what that means! Which four films are you most looking forward to seeing in October? Let us know by voting below. You can vote up to four times and, as always, write-ins are accepted! For this latest edition of Let’s Second Guess the Academy, let’s take a look at 1993. The 1993 Academy Awards were dominated by Schindler’s List. Steven Spielberg’s powerful Holocaust drama won both best picture and best director. It remains the film by which all other Holocaust dramas are judged. But did Schindler’s List deserve to win? Or would you have preferred to see one of the other four nominees win the title of Best Picture of 1993? Let us know by voting below! Now, here comes the fun part. Let’s say that Spielberg never got around to directing Schindler’s List. And maybe The Piano never played in the states and The Fugitive bombed at the box office. Let’s say that none of the five best picture nominees had been eligible to be nominated in 1993. Which five films would you have nominated in their place? Below, you can vote for up to five alternative nominees.